I started stitching this project on March 16, 2015 and finished on November 17, 2015. 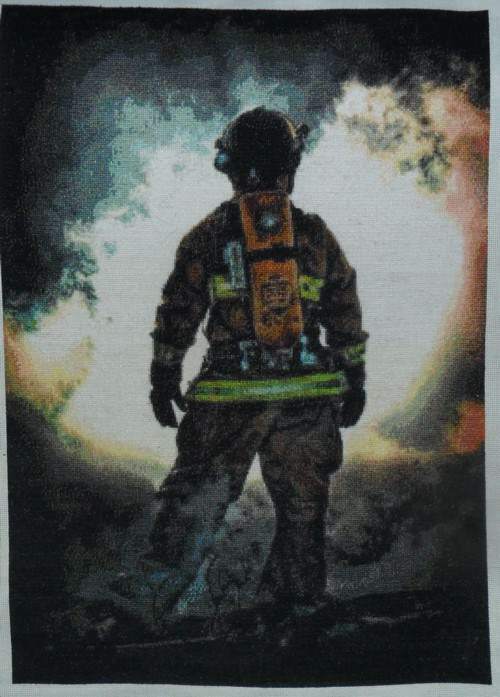 It is in honor of all firefighter everywhere, especially my son who is a wildlands firefighter for Nova Scotia’s Department of Resources and for two local volunteer fire departments. I really enjoyed working on this project and thanks to the charting talents of Jennifer it became a reality.